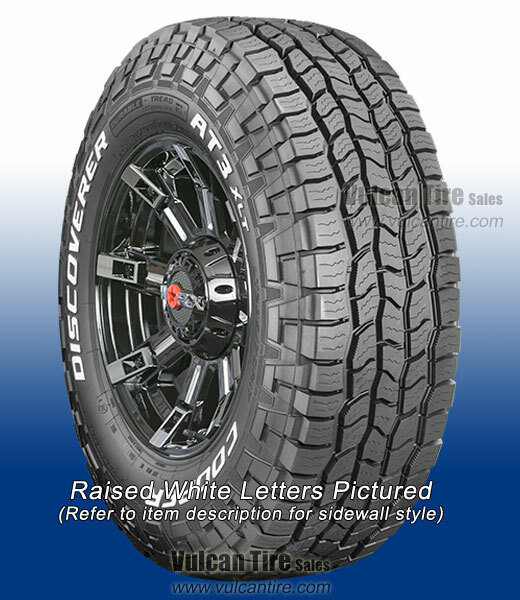 Capable of heavy-load hauling and off-roading, while still offering a comfortable, stylish, on-road ride, the discoverer at3 xlt is a durable, all-season, all-terrain tire for your pickup or customized truck. Design features like stone ejector ledges and rugged traction shoulders intensify on- and off-road performance. Ledges protect against stones and gravel while traction shoulders with interlocking, biting edges boost mud and boulder crawling ability.